TALLAHASSEE - As the new school year approaches, the Florida Department of Children and Families (DCF) is teaming up with the Ticket to Dream Foundation to encourage community members and local businesses to collect school supplies for children in foster care. Donations of backpacks and essential school supplies will be collected through September 2 and provided to children in foster care throughout Florida before school begins. 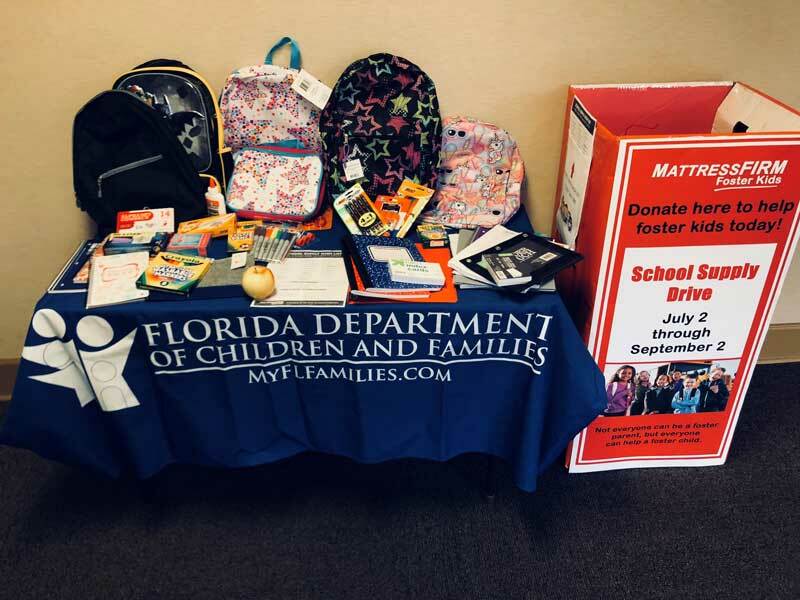 Now through September 2, the Ticket to Dream Foundation through the Mattress Firm Foster Kids program will have school supply drop-off sites at all Florida Mattress Firm locations. Use the store locator to find a Mattress Firm in your area. There are approximately 25,000 children currently in Florida’s foster care system. A backpack filled with essential items will ensure these children enter the classroom ready to learn. Donations can include basic school supplies for kindergarten through 12th grade. “Ticket to Dream works year-round to help foster kids just be kids. To us this means entering the new school year with a back pack that builds confidence, school supplies that help them keep up in the classroom, and the knowledge that their community is rooting them on.” Ticket to Dream Executive Director Gina Davis. The Ticket to Dream Foundation is a non-profit organization dedicated to creating hope and opportunity for children in foster care across the nation. For more information about the Ticket to Dream Foundation, please visit their website. For more information on becoming a foster parent, contact your local community-based care agency or visit DCF’s Foster Care website.